Description: Sign is titled: "Where Does the Rainwater Go?" 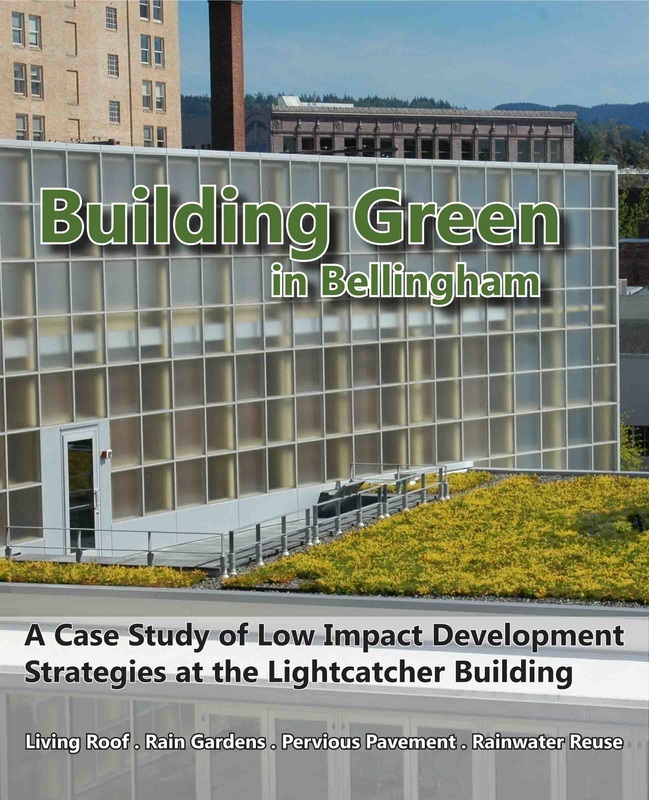 It compares traditional drainage with low impact strategies such as rain gardens. 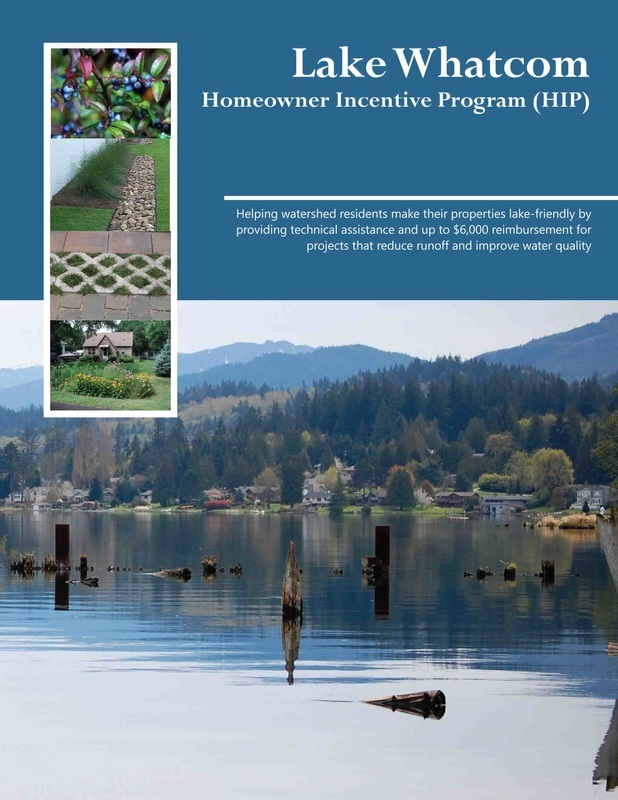 Description: This door hanger tells residents of the Lake Whatcom watershed about support and reimbursement for projects that reduce runoff and improve water quality. 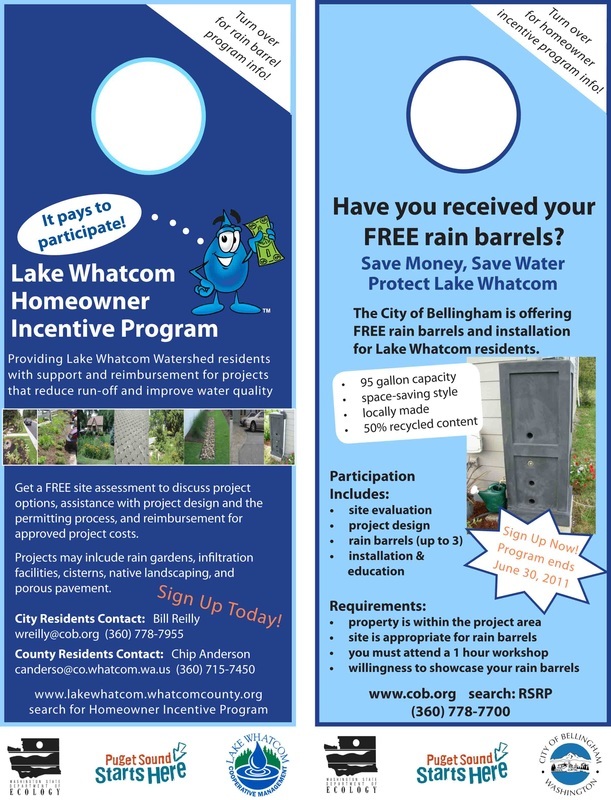 The City of Bellingham is offering FREE rain barrels and installation for Lake Whatcom residents. 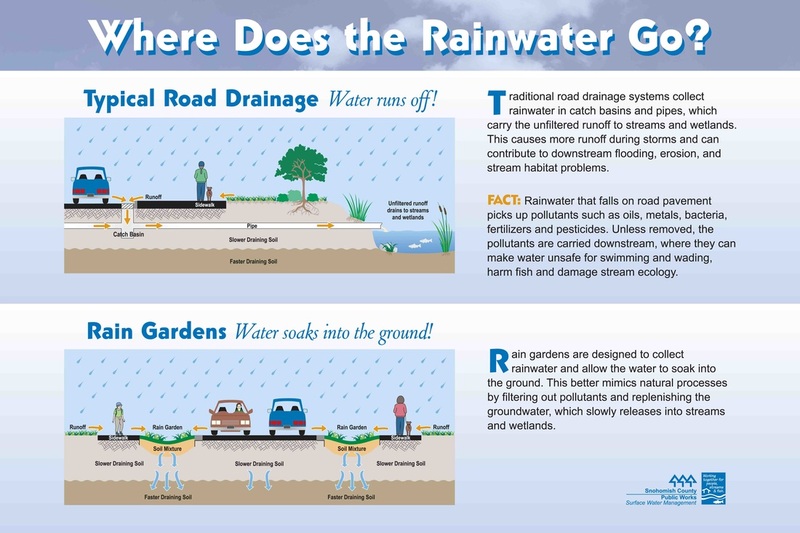 Description: Wherever you live, rain collects pollution from rooftops, pavement, and yards, and carries it into a creek or lake draining to Puget Sound. The High Point neighborhood around you drains to Long fellow Creek. 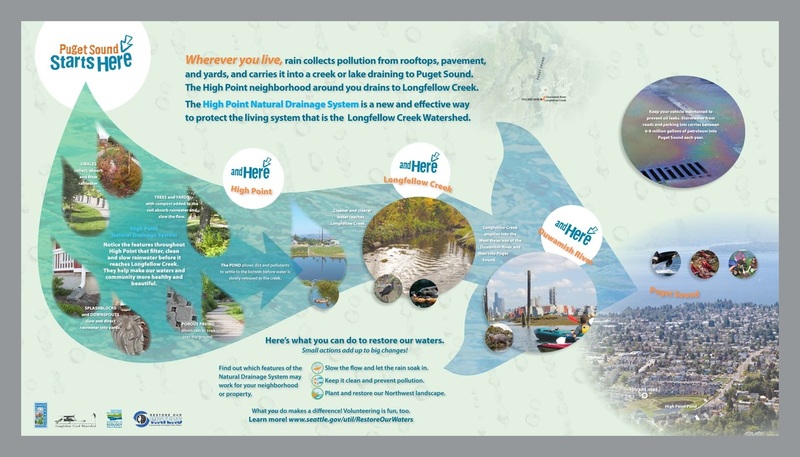 The High Point Natural Drainage Systems is a new and effective way to protect the living system that is the Longfellow Creek Watershed. Here’s what you can do to restore our waters. Small actions add up to big changes! Find out which features of the Natural Drainage System may work for your neighborhood or property. Slow the flow and let the rain soak in. What you do makes a difference! Volunteering is fun, too.